I love having new and different cookie recipes to try for my Christmas baking. These cookies use two of my favorite ingredients.....berries and dark chocolate. The recipe has been created from a couple of different cookie recipes and I think that the finished product is delicious.....almost like a brownie. You'll love them! 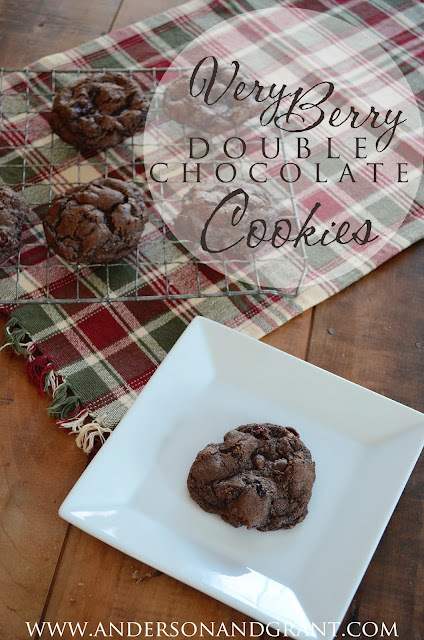 To view the complete recipe for my Very Berry Double Chocolate cookies, click here.